The country is a kingdom, with most recorded reigns in the world; a constitutional monarchy with King Rama IX, the ninth king of the House of Chakri, who has reigned since 1946, making him the world's longest-serving current head of state and the longest-reigning monarch in Thai history. The king is officially titled Head of State, the Head of the Armed Forces, an Upholder of the Buddhist religion, and the Defender of all Faiths. DFA office for passport issuance is formerly located infront of cuneta astrodome in pasay city. 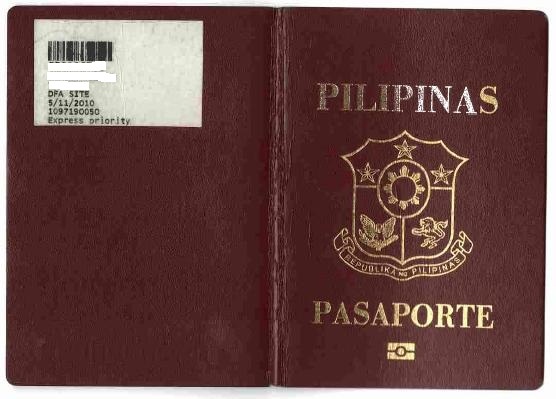 March 2010, upon arriving there to renew my passport I was totally surprised that the office has moved to macapagal avenue for passport issuance plus via internet application for appointment, walk-in applicants no more. I immediately went to that new office on the same day and trying to force an appointment slot because as fas as I know the issuance quieing would spend much time and my flight is on 1st week of june. one employee there suggested that i can call DFA hotline 8344424 / 7371000 and ask for a slot by chance. major advantage of being alone is i can be easily inserted on earliest schedule. there it was, i claimed my renewed passport 1 week before my flight. lesson learned, be sure to renew your passport 6 months prior to expiry date. i exchanged my local money php14,000 to usd in baclaran area to usd320. this budget is based on my extreme queries and researches made in online forums and web. that time, there was there red shirts protesters against their prime minister so negative news is worldwide known. as in there was a time dfa release an advisory that tourists are not allowed in bangkok city. i am just so fortunate again that there was peace negotiations 1 week prior to my flight. No tripod that time and equipped with only cheap, very jurassic, unbranded and low-tech digicam. - Hua Lampong Train Stn., is it easy to get ticket there? as in same day sakay ka na? I plan to go directly to Ayutthaya kasi upon arrival. Para early morning roam na ko and mag bike. You think easy lang to secure a train ticket tapos mga 5pm ako dating sa BKK airport. - Easy lang ba maglibot ng Ayutthaya? di scary? I really thank you for sharing these information. I commend u for your detailed entries. This will help and inspire us newbies. I appreciate your immediate response. Thanks din sa mga tips, I'll keep that.If you check PEX-Bangkok thread, I also messaged you there. Nice to know you're always on-line. Somehow same ang IT ntin but I wouldn't go to Kanchanaburi. Bilib ako sa yo natagalan mo ang ganun katagal na trip. Achievement! hehehheh.. Enjoy sir and keep safe! Yep. Excited na for Thursday. The recent news reminds me to take an extra care. Bilib naman ako sa ability mo to secure seat sale with that price. Tambay ka yata sa Internet, hhehehhe..
Yup, looking forward to be with you in future trips!